Palm Beach County is a diverse region of Florida, and is comprised of both urban and rural areas, making transportation throughout the county for work and recreation critical for many residents. Ride-sharing services such as Uber and Lyft have made it much easier for residents to get from point A to point B even if they do not own a vehicle themselves, and have soared in popularity along with the widespread availability of smartphones. Uber and Lyft have also added complications that can arise when an Uber/Lyft driver is involved in a car accident where someone is injured or sustains property damage. Because significant controversy has arisen in determining who is responsible for these accidents, Florida has enacted a new law the outlines the insurance coverage requirements that all Uber/Lyft drivers must satisfy, as well as when those insurance policies can be accessed by injured passengers. At Gonzalez & Cartwright, P.A., our experienced Palm Beach County personal injury lawyers have kept pace with the changing laws in Palm Beach County so that we can effectively and efficiently assist our clients who have been injured in car accidents involving Uber or Lyft drivers. 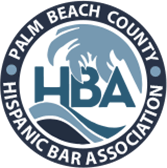 We pride ourselves in providing honest and trustworthy advice to our Hispanic clients throughout the Palm Beach County community and, unlike other law firms, provide a fully bilingual environment so that our clients can communicate with their lawyer in the language with which they are most comfortable. Refrain from signing anything before speaking to an attorney. The Uber or Lyft driver will likely contact the ride-sharing company at the scene of the accident, making it possible that they will attempt to contact you with an offer of settlement. It is important to avoid accepting this initial settlement, as it will likely fail to account for all of your potential expenses. Driver is on an Uber/Lyft trip. When the Uber/Lyft driver is carrying a passenger and involved in an accident, the $1 million Uber/Lyft insurance policy will apply. This also includes up to $1 million in uninsured or underinsured motorist coverage. Driver is available to accept Uber/Lyft passengers. If the driver is available to accept Uber/Lyft passengers, but not currently carrying a passenger, the $50,000 Uber/Lyft insurance policy will apply for personal injuries, and up to $25,000 in property damage coverage applies. Driver has the Uber/Lyft app turned off. If the driver has the Uber or Lyft app turned off, he or she is technically not considered to be “on the job”, so that his or her own personal car insurance policy will apply. These additional insurance requirements can cause complications and confusion in the insurance claim process, and our attorneys are here to help ensure that you file proper insurance claims with all potentially responsible parties so that you get the compensation that you deserve. At Gonzalez & Cartwright, P.A., we are dedicated to serving the Hispanic community of Palm Beach County, and have a proven track record of providing the highest possible quality legal representation to both English and Spanish speaking clients. If you have questions after sustaining injuries in an accident involving an Uber or Lyft driver in Palm Beach County or elsewhere in Florida, contact our Uber/Lyft accident lawyers by calling or filling out this online form, to schedule a free initial consultation today. Our main office is conveniently located at 813 Lucerne Ave, Lake Worth, FL 33460, and we also have an office in Pompano Beach, Florida. Palm Beach County, Florida, is the third most highly populated county in the state of Florida, and is located directly to the north of Broward County. Palm Beach County was split off from Dade County in 1909, and is still considered to be a part of the Miami metropolitan area. As of 2010, the population of Palm Beach County was approximately 1,320,134. 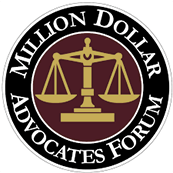 As of 2004, Palm Beach County was the wealthiest county in Florida with an average per capita income of $44,518 per person. Real estate development is Palm Beach County’s largest industry, followed by agriculture. FAQ: What does Florida’s no-fault rule mean? How are Uber/Lyft accidents different? Under Florida law, all drivers have to carry at least $10,000 in personal injury protection (PIP) coverage and $10,000 in property damage coverage. The no-fault rule means that your own insurance coverage applies to compensate you for damages or injuries even if someone else caused the accident. Uber/Lyft accidents are different, because you may be able to file a claim to access the higher coverage limits required of Uber/Lyft drivers. FAQ: How are Uber/Lyft accidents different than accidents where a taxi driver was involved? Licensed taxi drivers are employees of the taxi company itself, and the taxi company maintains its insurance policy. This means that if you are injured in a taxi accident, you can pursue a claim for compensation against the taxi company. Uber and Lyft drivers, however, are independent contractors, so liability does not extend to Uber or Lyft in the same manner as in the case of a taxi driver.